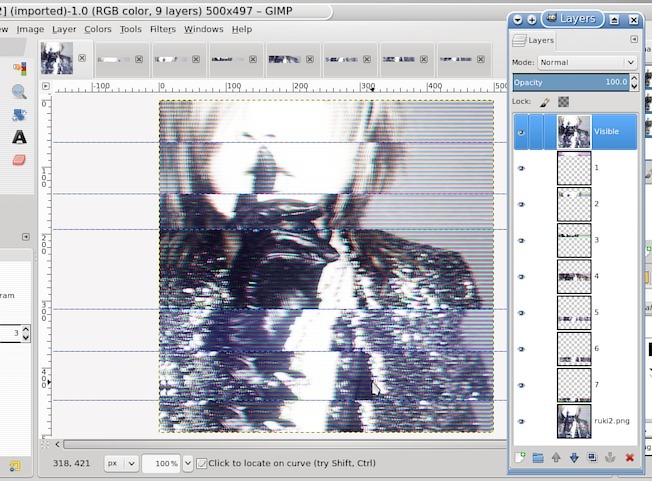 GIMP Forums / GIMP / Show Off / Glitch effect? As you know I am not much of an artist, and I had to look up 'glitch effect' a new one on me. Looking at some of the end-product, just about anything goes. 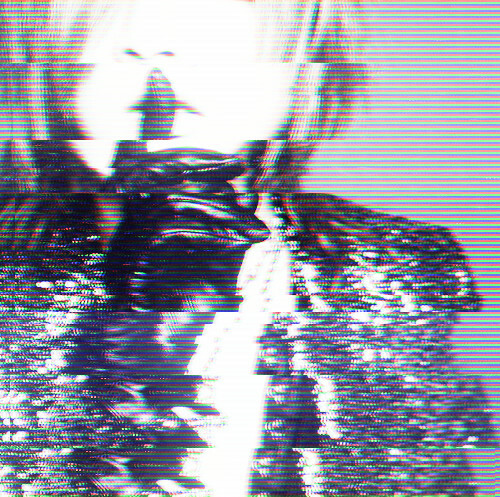 Filters -> Distorts -> Video -> Wide Stripes. Then set some guides and guillotine the image into strips. Copy / paste as layers back in and manually offset the layers horizontally. Tweaked some of the layers using the curves tool with one of the color channels rather than value. Play with the settings: Angle = 90; Amplitude = 2, may be a suggestion.